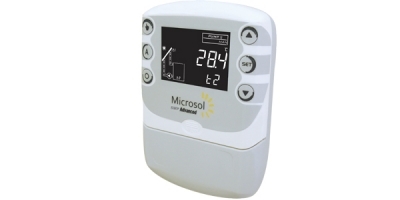 Differential solar heating controller featuring three temperature sensors that activates the water pump. Its functions prevent the water from overheating and the freezing within the pipes. It has two backup outputs by electric resistance, gas or diesel-fired or even to command the swimming pool filtration. 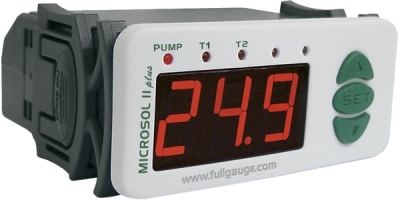 In addition to this, it features a real-time scheduler that allows to set weekly and daily events and permanent internal battery to ensure that the clock remains synchronized, even in case of a power outage. It has a serial communication for connection to Sitrad.